Last week was a hectic week for me. It was all about planning, preparing and baking for my three children's party on Sunday. There were so much preparation and baking to be done. We also ordered food from various places. 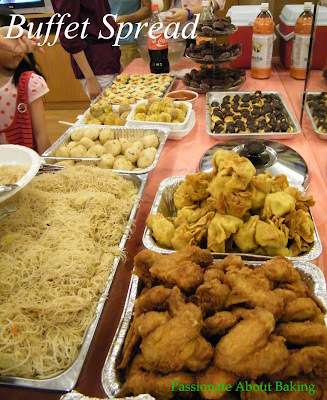 These were the food we had for the birthday party. Those in (B) were store-bought, while the rest were prepared by myself, except the curry vegetables which my helper cooked it. 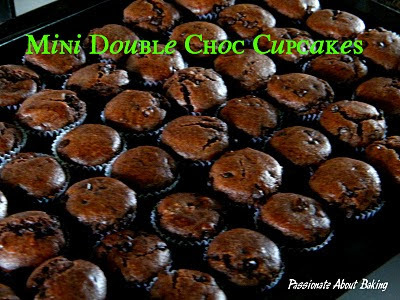 Day 0 - 1 : Baked 132 Mini Double Chocolate Cupcakes in the morning. Then prepared 90 Mini Cream Puffs in the afternoon. Day 0 : Baked 50 Salmon Pies and decorated Oreo Cheesecakes. Unfortunately for me, the Salmon Pies weren't too well received by the children. But the adults loved it though. 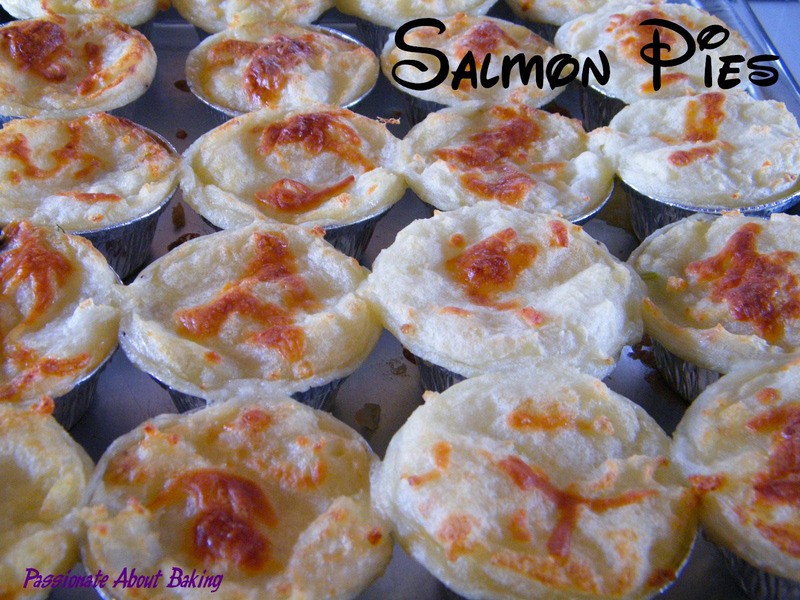 I personally love the salmon pies. There was a lot of preparation and work that went into this pie. 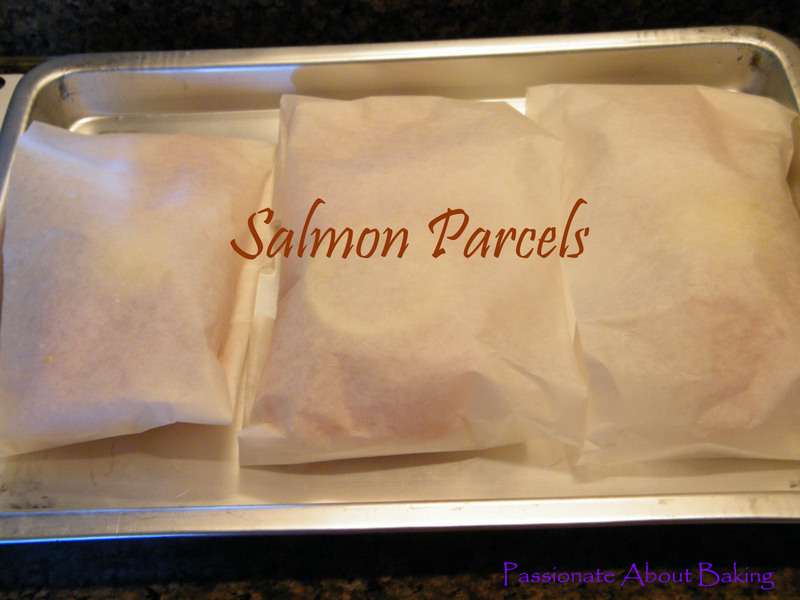 I baked the salmon fillets in silicon paper to retain the moisture of the fish. 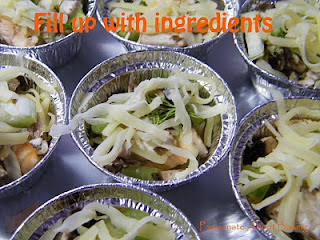 Then I flaked them into the aluminium cups and added the rest of the ingredients. 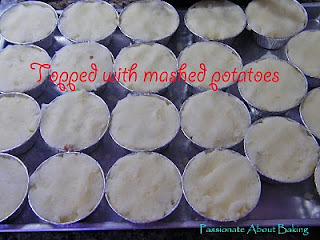 Topped them up with buttered mashed potatoes and shredded mozarella cheese. Bake it and serve. There were so much food leftover after the party! 1. Marinate the salmon fillets with lemon juice from the lemon slices, zest, salt and pepper. 2. 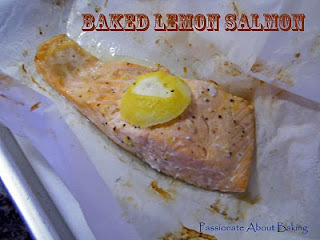 Place each of them on silicon baking paper, and place one slice of lemon on each salmon. Wrapped up like a parcel. 3. Place them on a baking tray, bake at 200C for 23mins. 1. Cut the potatoes into smaller pieces. 2. Placed it in a pot of water and boil until soft. 3. Mashed it and mix well with butter. Leave aside. 1. 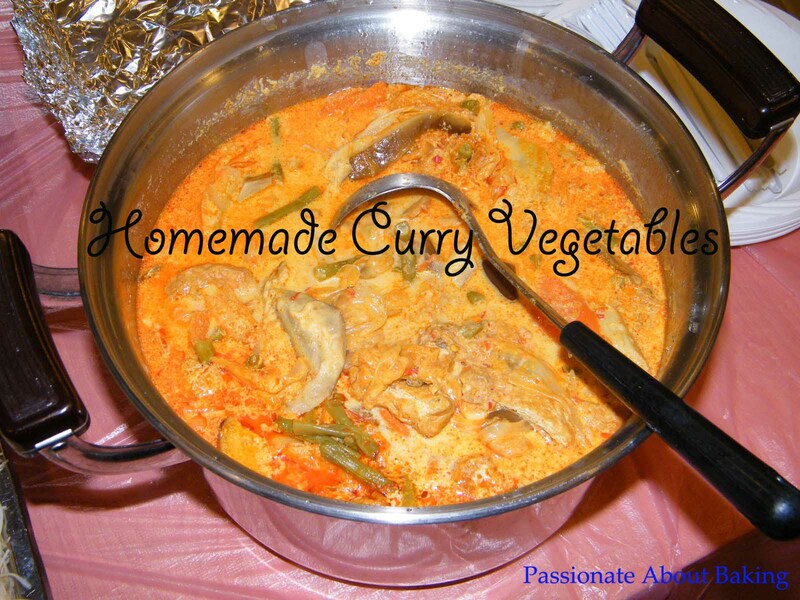 Put all the ingredients into a saucepan to cook. 2. Stir until the mixture has thicken, then remove from heat. 1. Flake the salmon into each aluminium cups. 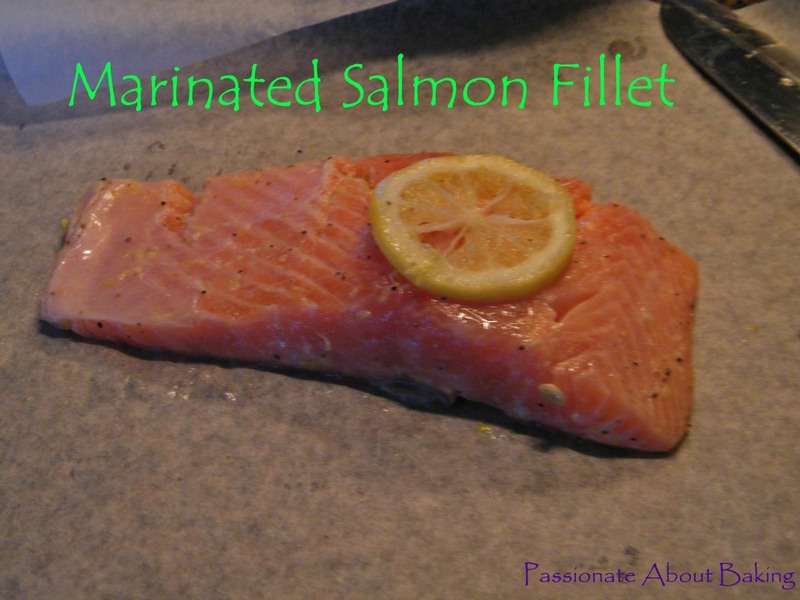 Place some dill on top of the salmon. Then add celery and mushrooms. 2. Add mozzarella cheese. 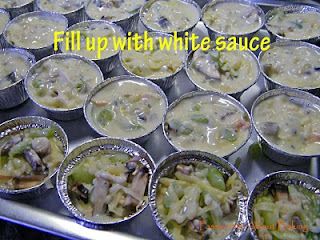 Then add one tablespoon of white sauce into the cup. 3. Top up with mashed potatoes and add some cheese. 4. Repeat the process for the rest of the cups. 5. Bake in the oven at 190C for 25mins, or until top is browned. 6. Best if served immediately. 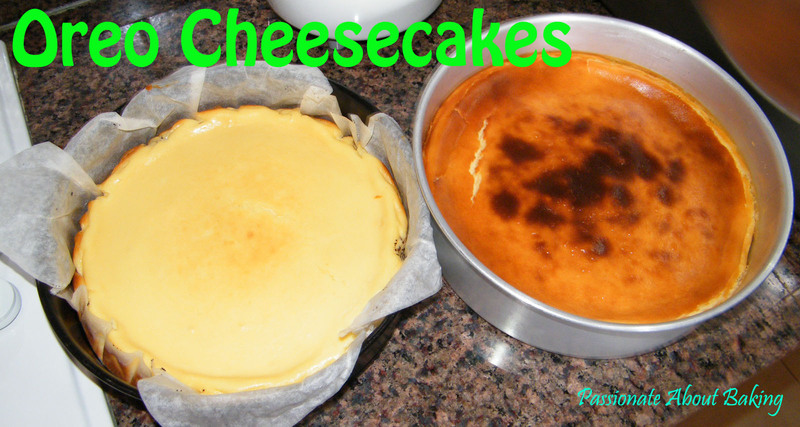 I'll share the Oreo Cheesecake recipe in my next post. Watch for it. your children are lucky to have you as their mom! what an extensive feast they have at the party! Jane, mostly are my favourite food, wish I can be there to help finish the food :P. Where is the decorated oreo cheeesecake? Is it the birthday cake? Happy belated birthday to your children. Haha Jess. These were very unhealthy foods! Yup, should've asked you to come and help me finish them up, there were a lot of leftovers. Yes, oreo cheesecake is the birthday cake, as requested by my son. I'll post it up in my next post. Thanks for your well wishes! You are supermum! What a wonderful spread of party food! 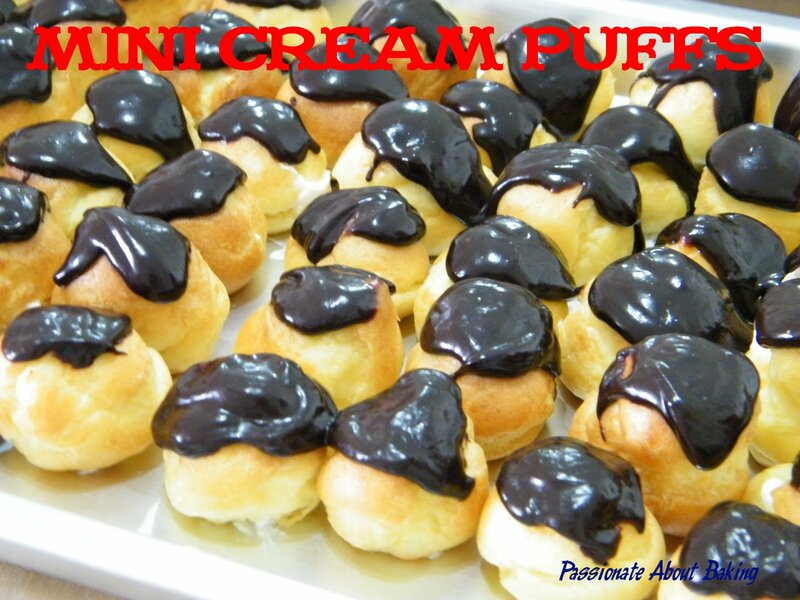 The mini cream puff, choc cupcakes and pies look so yummy! Happy belated birthday to your kid! What a spread. Wish I had been there to taste all that food! The pies look and sound good! Happy belated birthday to your children and they must be proud of you. 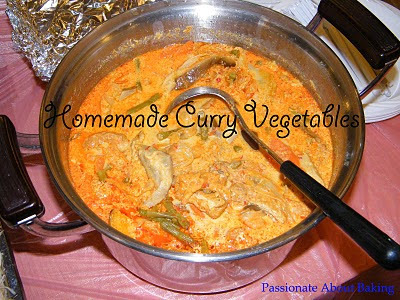 :) You are really great and can prepare such a big feast with varieties of food there. All looks yummy & delicious. 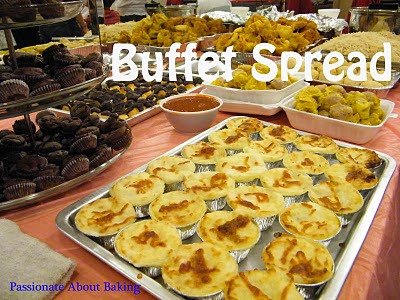 Wow such a nice buffet spread...I like home-cooked food. I can't imagine...you have baked 300 items!! It's such a tedious and tiring job, 佩服佩服。 U are a great mum and of course a great baker. WOW! You are such a capable women! I know there are some foods not preparing by you but there are still plenty of foods that actually cook and bake by yourself. Wohh! Very well done! Can have your own catering business soon hur!! Jane, it all looks so yummy! Great party food! It's nice to prepare the food yourself, they definitely taste better than the catering buffets. ;) Happy birthday to your kids! thats a mouth watering spread you have for the party. 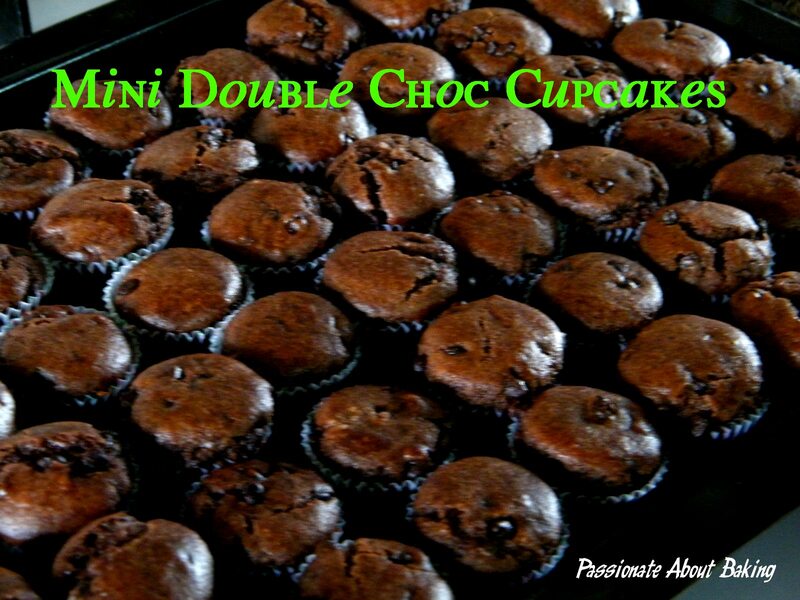 Not to get forget the effort and time spent into making these goodies. Good job! Thank you very much for your compliments. :) I wished you were here to help me finished up the food too! Thanks also for your well wishes! The children had a wonderful, and so do I! 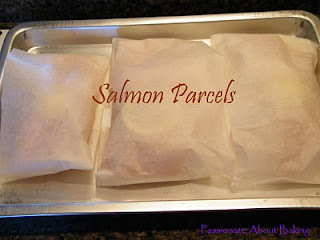 For the salmon pies, I thought you had use filo pastry but didn't see this ingredient at all. Is this similar to shepherd pie? Thanks KWF. Hope you'll like it. For the salmon pies, I used the mashed potatoes for the top. You're right, it's similar to shepherd pie concept. A bit more special I felt. You're a supermom man! Bet your kids were very happy that day. Haha I wish your pictures can be eaten! Those puffs look gorgeous btw.